In this era of rat race there are a very few people who opt for a career they love and not because of any pressure of others. Mr. Dinesh Kumar is one of those people who chose his interest as his career . He had always been a sportsman in school and loved to stay fit and that is why he chose fitness as his career option. He says that he likes his profession as a sportsman and says that it had always been his passion to pursue his career in this field only. He came to know about BFY sports and fitness through online advertising and choose BFY sports because it very popular for its services and certifications. He had a great experience and was very impressed with the kind of services they provide there! He said that there was very well training and very well practicals and he said that the trainers were very experienced and dedicated. According to him not all trainers are dedicated towards teaching but here he had a great time. Right now he is working as a freelance personal trainer and trains different people. He says that he loves his job and he loves to train . His earnings vary depending on the work as he is a freelancer and generally his earnings fall between 40 – 65 thousand rupees per month. He is satisfied with what he earns. He is very happy and says that his earnings increased very much after doing his certification from BFY sports and fitness. When asked about his future plans he said that currently he is not planning for any other business because at this point of time has a a lot of work in his hands. He says that he has done a lot of commitments in life and is first working to make them happen and wants to complete them before taking any other work. He says that he has a tight schedule and does nt have any spare time for other things. He wants to do more certifications and gain more experience so that he could be a good trainer and so that in turn he could earn good amount of money! According to him, more the person in trained and experienced the more he can earn and prosper. He wants to advice the young and new aspirants entering this fitness industry is that they should have thorough and practical knowledge. They should know how to deal with clients and t give them the best advice. The fitness industry must do more for instructors by increasing salaries and investing in training, according to Jean-Ann Marnoch, instructor experience director at Les Mills UK. In an interview in the latest issue of Health Club Management, Marnoch called for gym owners to recognise the value of instructors. “Instructors have been paid the same wage for the last 15 years. If we truly valued the role they play in increasing participation, this would have changed by now,” she said. Marnoch joined Les Mills UK in 2013, tasked with improving its training programme, and has grown the training team from 35 to today’s workforce of 100. The trainers are elite coaches who educate instructors across the UK, ensuring they develop in line with national standards. “If you look at the most successful clubs in the world, they have large studios, some as big as sports halls, and these are rammed at six o’clock in the morning and again throughout the evening,” she said. The famous poet Goethe is noted for having said that “Boldness has genius, power, and magic in it” over two centuries ago, and yet his description still rings true today. As a group fitness instructor who’s seen it all, I find this timeless truth displayed boldly and beautifully when I am in an outstanding and inspiring group exercise class. As a group fitness instructor myself, I know the planning, preparation, training, and discipline it takes to make a class magically motivating. I mean, let’s face it. We stand up there as instructors in front of a group of people in which the majority of them probably don’t even want to be in the gym. They’d rather be shopping, or eating, or anything other than exercising, but it’s something about the class, there’s just something about the instructor that makes them come out and keep going when they want to quit. Most people don’t realize that group fitness instructors have a special gift and talent that takes time and tenacity to cultivate. If you don’t believe me, take a class with someone who has no idea what they are doing. You will see people burning the majority of their calories by cranking their head toward the clock to see when the madness will end, or they may just walk out because they don’t know what the problem is, they just know something ain’t right. I’ve seen this happen while others have been teaching, and despite my best efforts to support a fellow teacher by staying until the end, like the others who jump ship, I too have left early when I couldn’t take it anymore. This happened to me recently and led me to see that there are signs you can observe that tell if a person knows what they are doing, and what in fact, makes them outshine the rest. 1. They are confident. They come in, get the music cued, go in front of the class, introduce themselves, give eye contact, and smile. This may seem like a trivial characteristic but the way an instructor starts the class sets the tone for the entire workout. If they seem rushed, disinterested, nervous, flustered, or anything other than confident, participants know it and it immediately sets the “I could be doing [fill in the blank with anything other than this]” mechanism in a person’s head. The lights that were on to be motivated to get to the gym and take a class click off instantaneously. People think, “Here we go. I knew I shouldn’t have come here.” Because let’s face it: doesn’t everyone always have other things to do than to taking a boring or unstructured exercise class? 2. They are able to give visual and verbal instructions to help you build, tone, and stretch the right body parts, or move rhythmically with ease throughout the workout. Here’s an example of what I mean from a new, inexperienced, unskilled instructor: The music is on. The class has started. They go in front of the room and say, “Okay, here we go! March! Come on! March! Move! Go left! Go right! Get your leg up! Turn around! You can do it! Come on people!” And this is five seconds into the class! This may sound comical but I have seen this with my own two eyes. A skilled, outstanding group fitness instructor instructs people on the right muscles to use and engage such as their core, but not just by saying, “Okay contract your core!” which I hear people say and do all the time, having no clue as to what or where their core muscles are or how to activate them. Or, they will also instruct people on the importance of neutral spine alignment, even if they’ve taught the same class a million times. There are certain factors of group fitness instruction that must be repeated like your regularly scheduled commercial break because you are always teaching the to the newcomer, and reminding the person who comes regularly all the same. 3. They know how to cue. This one is huge! People think that teaching a class is as simple as 1, 2, 3, and that it’s done in that order. But this is a HUGE sign of a new, unskilled, or untrained instructor. And in fact, nothing annoys me more than being in a class where the instructor is teaching from the lower number going forward. They say, “Okay, we are going to do jumping jacks! Ready? Here we go! 1, 2, 3, …. !” Well when will we end? It’s an open-ended exercise and this creates a feeling of wanting to quit because for the person exercising, there’s no end to visualize. There’s no finish line or tape to run across. The race is going but you have no idea where it ends. This activates a feeling of “I can’t do it” to the exerciser, whereas a skilled instructor knows to count BACKWARDS starting from the highest number and going down to one. As for cueing, it is pure artistry to be able to do 32-count phrasing smoothly and effortlessly. An outstanding instructor stays on the tempo and has the practiced skill of being able to tell participants what they are about to do, BEFORE they do it. So, if you want a person to do 20 jumping jacks, they know how to pump the participants up to say “We are going to do 20 jumping jacks, in 4, 3, 2, 1” and get people excited and ready for what’s to come. Then, you start them at 20 and instantly, the participant says, “Okay, I can do this!” They begin to focus. They push. They may not extend their hands all the way over the heads or their lateral jump may become smaller but doggone it, they start at 20 and get to 1! Plus, an outstanding group fitness instructor will have the participants high five one another with everyone cheering, “We did it! We made it!” And this leads me to my next point. 4. Outstanding group fitness instructors create a sense of community and camaraderie within their classes. People feel connected to one another. They begin to learn each other’s “spots” in the class and may even rush each other in the locker room, or parking lot, and help them wrap up a conversation with someone else. They tell each other “Come on girl, we have to get to this class.” They may even start a phone tree or email group, and now thanks to social media, they may even form a Facebook group to keep one another encouraged and accountable. This is because outstanding group fitness instructors invest lots of time and energy into others, and most importantly, they do the same for themselves. This leads me to my last point. 5. 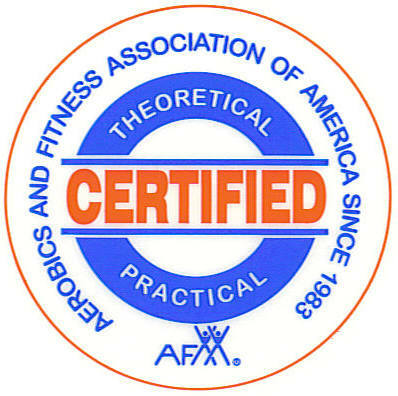 An outstanding group fitness instructor invests in their continuing education. They know the importance of getting a nationally recognized certificate as an exercise instructor, in addition to trademarked specialty certifications for different formats for which they want to become highly skilled to have the licensing to teach. Many even go on to pursue advanced academic study and attain degrees in the field of exercise instruction. They stay on the cutting edge of trends in the fitness industry. They are lifelong learners and exude this enthusiasm and passion for knowledge to their participants. Some people think that group fitness instruction is some kind of glorified drill sergeant in spandex. But it’s more than playing blaring techno music while yelling at people with a high pitched vibrato. To be an outstanding group fitness instructor takes talent, skill, and amazing amounts of energy. It’s also time consuming. It’s expensive. It’s draining. But most importantly, it’s exhilarating and fulfilling. There is nothing more satisfying and heart-warming than to have someone thank you for how you’ve helped them. In fact, this happened to me last week.